This part (76), Mr. Sophan described the relationship between Cambodia and Vietnam after many harsh exchanges of attack through Hun Sen’s facebook page as a new show Hun Sen has drawn attention his electorates. Interestingly, the war of pen through social media is just an individual exchange of idea and opinion. Cambodia foreign ministry also wrote letter to Vietnamese government through their embassy in Phnom Penh to seek explanation and punishment about this Vietnamese citizens facebooking expression. Vietnamese government responded with its political maturity by stating that the matter is just an individual freedom of expression. It is not representing Vietnamese government at all. 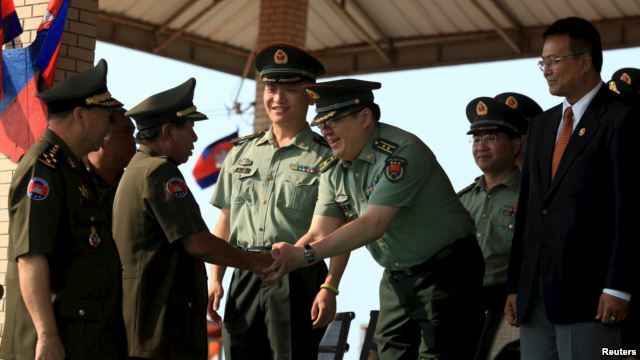 The exchange of attacks through social media intrigued Chinese State military news outlet penned down the brusk as a good step of Prime Minister Hun Sen and praised of his leadership including mentioning his Chinese blood descendant. He concluded that foreign policy Hun Sen is conducting right now has truly reflected Cambodia’s political turmoils during the cold war: Khmer Rouge was established and trained by Vietnam but took China as its ally to counter-strike Vietnam. But this time, Vietnam has worked to gain many allies and it has achieved more than during that time. 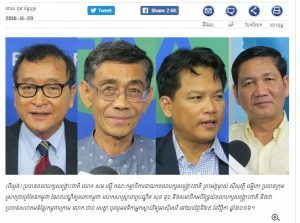 This reality shows how Hun Sen’s foreign policy is dangerous for Cambodia? Machiavelli’s Lessons Cambodia approaches China, leaving the United States in the dust. Can it retain its freedom? Comment: The author has well balanced his argument on choice Cambodia made with China in its foreign policy that can tip the navy of this nation if the policy shifted too much towards China without aligning with USA, ASEAN member states, and other super countries. The author academically termed “alignment” not “alliance” for Cambodia to strengthening tie with China. What author has missed out the important parts is the two pragmatic factors: the Cambodia constitution and lesson learnt during the Khmer Rouge regime. First, Cambodia constitution firmly claims that Cambodia is a neutral nation state and non-alignment. Cambodia is friendly to all outside nation states. No other state(s) can use Cambodia as their military base or influencing site for their advantage etc. 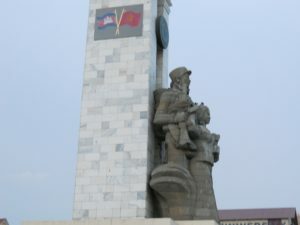 Second, China supported the Khmer Rouge, and Cambodian people have been bitterly suffered. USA also supported the Khmer Rouge. But aids from USA to the Khmer Rouge were used by someone there, we don’t know who? China’s aids to Khmer Rouge were also used by someone there, we don’t know who? But the usage of those aids within Khmer Rouge cadres tended to destroy their cadres, not to save their company at all, not mention about using those aids to support the nation. Are these unknown users are supper secrete? May be not at all. Before Khmer Rouge turned 90 degree to China, KR was under supervision of Vietnam (North Vietnam or Vietminh, critically). This is the truth of history, undeniably. Now, Hun Sen (head) has aligned or turned 90 degrees to China, should the old trauma haunt Cambodia again? No one know. 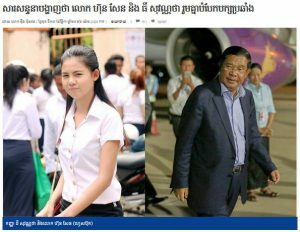 But Khmer people nationwide have been vigilant on their political vision that “Head goes to China while Body and Feet are strong with Vietnam“. As part of the United States’ ‘pivot’ to Asia, the Obama Administration has taken further steps to broaden engagement with Cambodia, primarily in response to China’s rapidly growing influence in the country and in the broader Lower Mekong region. Diplomatically, U.S. high-level officials have started visiting Cambodia more frequently. 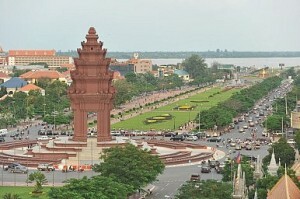 For instance, in 2012, a series of U.S. leaders engaged with Cambodia’s leadership, including President Barack Obama, Secretary of State Hillary Clinton, Secretary of Defense Leon Panetta, and U.S. Trade Representative Ron Kirk—all this while Cambodia was hosting the ASEAN-U.S. Leaders’ Meeting and other ASEAN-related meetings. Two major visits occurred earlier this year in Phnom Penh—the minority leader of the U.S. House of Representatives Nancy Pelosi in March 2015, and Assistant Secretary of State for East Asian and Asia Pacific Daniel Russel in January. U.S. First Lady Michelle Obama also visited Cambodia in March 2015. Militarily, the U.S. government has maintained a small but sustained level of engagement with the Cambodian military, which includes naval port visits, joint exercises, and military assistance. From 2007 to 2012, eight U.S. naval ships made port calls in Cambodia and engaged in joint military exercises with the Cambodian armed forces. Cambodia and the U.S. also jointly conducted the bilateral Angkor Sentinel peacekeeping exercises four years in the row, beginning in 2010. As of 2014, the U.S. allocated $0.45 million to an “International Military Education and Training” program to help Cambodian military officers with their English-language skills, leadership training, military professionalism, human rights awareness, and counterterrorism practices. Economically, the U.S. is the largest foreign market for Cambodian goods, accounting for about half of the country’s garment exports—an industry that employs approximately 400,000 workers in the kingdom. Cambodia is also the fifth-largest recipient of U.S. foreign aid in Southeast Asia after Indonesia, the Philippines, Vietnam, and Myanmar. In 2014, the U.S. provided assistance worth $70.9 million, mostly to non-governmental organizations and humanitarian programs in Cambodia. At the sub-regional level, the Lower Mekong Initiative (LMI)—launched by Secretary of State Hillary Clinton in 2009—is a regional foreign assistance effort, amounting to $425 million for 2009-2011 period. 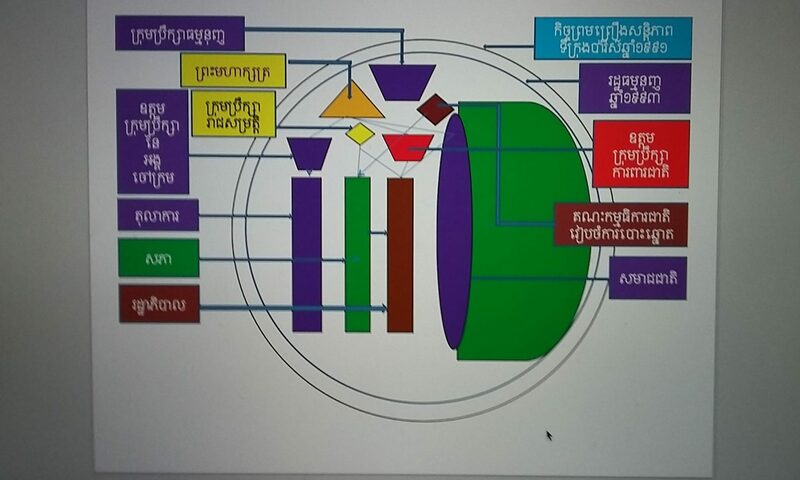 It aims to help lower Mekong countries, such as Cambodia, Laos, Myanmar, Thailand and Vietnam, in the areas of agriculture and food security, connectivity, education, energy security, the environment and water management, and health. In 2014, the State Department provided an additional $14.3 million for the LMI. Although the relationship has recently been strengthened, there are a number of impediments for Cambodia and the United States in developing deeper bilateral ties.